i finally got back to consistent workouts this week. i’m feeling better physically and emotionally each day. i’m still loving millionaire hoy. i’m also hooked on HIIT so it’s a great combo with the variety of mill hoy’s videos. i’m also doing quite a bit of walking/jogging. i know i need to work in more strength training again, and i plan on doing that next week. this particular workout contains a bunch of MMA moves. being a fan of the sport, it’s right up my alley. any strength youtube videos or channels to recommend me trying? leave me a comment. Previous Post i’m sorry. i can’t. don’t hate me. I JUST did this workout! it’s so hard! I also like benderfitness.com and fitnessblender ! 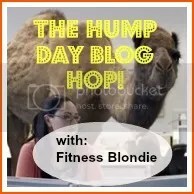 I’ll check out blenderfitness.com! Thanks!